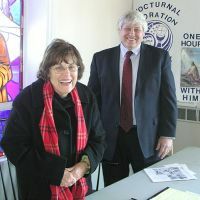 The Nocturnal Adoration Society is an association of Catholics dedicated to prayer before the Eucharist for the praise of God and for the needs of the world. 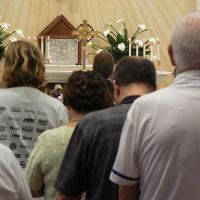 Membership requires one thing only; to spend one hour, once a month during the hours of the night, in prayer before the Blessed Sacrament exposed in church. 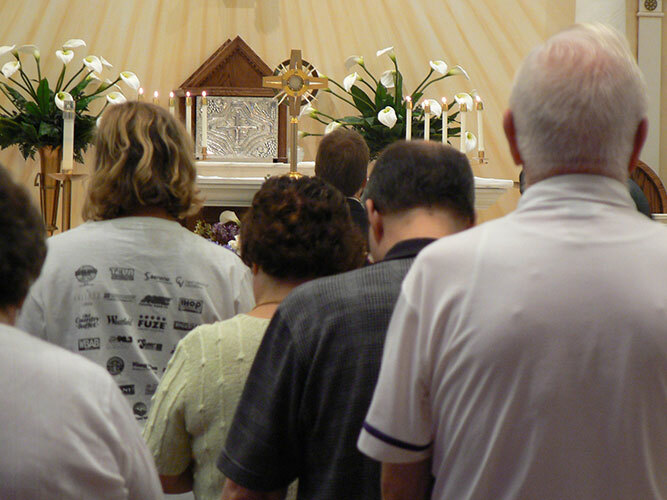 The Nocturnal Adoration Society is one of the oldest societies in our parish. St. Patrick’s became a parish in July of 1952. The Nocturnal Adoration Society was organized in October of 1953. Nocturnal Adoration offers a unique opportunity to be in the presence of Jesus at a time when there are no distractions; to meditate on His passion, death and resurrection; to pray with Him to our Father; and to receive the strength of the Holy Spirit to continue His mission of love and compassion. Members pray for the intentions of society members worldwide, for world peace, for pro-life issues, vocations, victims of war and natural disasters, and our departed brothers and sisters. All are invited to come and pray at any time during the night. For more information on the Nocturnal Adoration Society, please call Pat McDonnell at 265-5352 or email Pmac79@aol.com.